We know some tourists strongly believe that they have to share bath tub with Japanese locals while you are taking bath time called “Onsen”(it is hot springs). They usually feel it uncomfortable because most of all foreign visitors have no custom like this. It is quite wasteful if you miss this wonderful local experience with this obstacle. We found out good solution for you! It is called “private onsen”. it is simply to make reservation of whole bath dedicated for the party like family or couple. 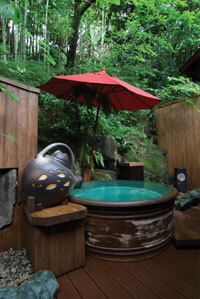 You can enjoy your Onsen time as much as you want with no hesitation. 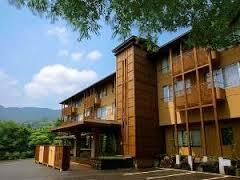 Here is some list of Onsen where you can make reservation. 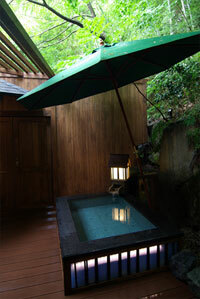 they have relaxation space of tatami mat for visitors and free to take rest. We can make reservation for you. Ask us freely! I in fiոding It really useful & it helped me oout much. I’m hoping to provide something back and aid others suϲh as you aideԀ me. Thank you for your comment. I am glad to feedback from the person like you. Please promote this site as your own words. How do I get to the hot springs from the Tokyo Westin? Hello, Sorry to reply late. You should take a train from shinjuku station to Hakone then take a taxi to there. Or we can take care of you for sure! you don’t have stay there. one day trip is fine with them. i would like to make reservation for the bathroom for Weds April 13th, 2016. Would you be able to help me? yes, I am happy to help you. Please send me the message by from on my website.